You never know what you’ll get with Guerlain’s Aqua Allegoria fragrances. Some of them are fascinating and quirky like Pamplelune and Herba Fresca and others are unexpectedly bland like Lemon Fresca and Tutti Kiwi. Limon Verde, with its promise of the Brazilian drink, caipirinha, blended with creamy fig should have been squarely in the first camp, but in the end, it’s neither surprising nor interesting. The first sign of trouble with Limon Verde is its razor sharp green accent. It is there to shore up the lime, but I can’t shake off the paint thinner association that some intense leafy notes have. A delicious lime, zesty and bittersweet, stands no chance and surrenders. Because I don’t give in readily, I waited and was eventually greeted by milky sweetness. The creamy fig and almond like layers are the best part of Limon Verde, but they have to share space with the aggressive tropical fruit. The contrast between the tart fruit and warm fig seems interesting, but wearing the fragrance is not. Three hours later the whole thing fades enough for me to forget what Limon Verde is all about. “Savor a caipirinha under the lemon trees along the Amazon River,” says Guerlain about Limon Verde, but while I’m glad to take up Guerlain on its offer, I’ll pass on Limon Verde. Luckily, there are plenty of other great options at Guerlain so as not to suffer the loss. For an exhilarating citrus and caipirinha I enjoy Guerlain Homme, an elegant take on woods dotted with crisp rhubarb, mint and bittersweet lime. If you absolutely require lemon trees, then consider Eau de Fleurs de Cédrat, a 1920 classic. Habit Rouge L’Eau won’t transport you to the Amazonian jungle, but it will provide a touch of the exotic with its blend of jasmine and toasted hazelnut folded into a citrus cocktail. Finally, outside of Guerlain’s collection you can find plenty of interesting marriages between citrus and fig, starting with the milky Hermès Un Jardin en Méditerranée and continuing with the green Annick Goutal Ninféo Mio. It’s a trendy duo, and we can afford to be picky. 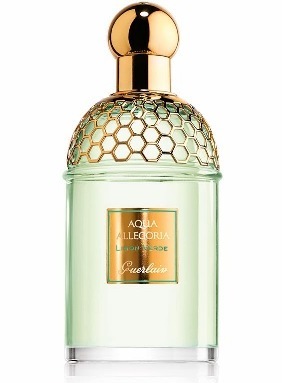 Guerlain Aqua Allegoria Limon Verde includes notes of lime, green notes, fig, sugarcane, tonka beans, tropical fruit. Available at Guerlain boutiques and counters. Lucas: So… it’s not any good afterall? I was excited when I read its announcement but now, after reading your review I’m not that keen on trying it anymore. Victoria: Try it for yourself, if you have a chance. That goes without saying. Maybe, it will work better for you. Patricia: Since my perfume portfolio is already overexposed in the citrus department, I’m glad not to have to try this one. Anne of Green Gables: I’m not familiar with caipirinha but the original idea seems to be very interesting. Herba Fresca still remains as my favourite Aqua Allegoria, if not one of my favourite perfumes. It was actually the first Guerlain perfume I tried and I fell in love at first sniff. I also love Un Jardin en Méditerranée and Ninféo Mio. Another citrus-fig perfume that comes to my mind is Caligna by l’Artisan Parfumeur. Have you tried it and what did you think of it? Victoria: I went through a bottle or two of Herba Fresca in college! 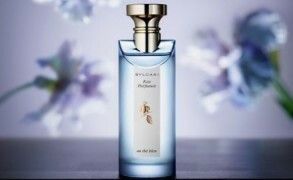 I loved how refreshing and yet elegant it felt, while many colognes feel too business casual. In the recent years, though, I thought that it’s gotten too minty, but I was told by a friend that it has been reformulated by Thierry Wasser and is that the new version is much closer to its former self. It’s now on my list to revisit. But if anyone has tried it recently, I would love to hear what they think. Anne of Green Gables: My mint tolerance is unusually high and that’s actually my favourite aspect of Herba Fresca so I didn’t noticed the change so much. Was it reformulated last year? It’s great that Thierry Wasser is doing good reformulations. Julie: I really like Caligna but it doesn’t seem to last long on me, something that’s a non negotiable with fragrance I like to wear and for the price. Too bad because it is lovely and I’ve got no qualms adding to my fig collection. Brainfodder: My friend purchased a selection of Guerlain AAs for me last year, from a duty free counter in Germany. As with Anne of Green Gables, Herba Fresca is my favourite. The floral options felt too sweet and thin for me (Nerolia smelt better than Rosa) and disappointingly, the grapefruit veered into unfortunate territory on my skin. Victoria: I’m also on the fence about many floral AAs, which promise a lot but don’t deliver. And then some excellent ones were discontinues, like Ylang Vanille. SAs at the Guerlain boutique say that it’s one of their most requested perfumes to bring back (along with Attrape-Coeur). Sandra: Thanks for your sweet message! After my sweetheart and I got engaged last year my fiancé always commented on how he never got a handshake anymore , it was always a big giant hug. It’s been hard planning a wedding without him. Brainfodder: I’m so sorry for both of you on your loss. We’re having a difficult week here – the teenage son of a good friend has suddenly passed away. It’s so good to have reminders of people, something to retreat to and treasure when things seem so irretrievable. My friend is also a lover of perfume, and no doubt there will be a scent association for her and her son, though (I say with a knowing smile) probably something related to food rather than perfume. Victoria: My condolences! It’s so painful when the young ones go, and I can’t even begin to imagine your friend’s sorrow. Merlin: Herba Fresca is my only AA, but I have been thinking about adding Pampelune. I totally agree – that HF is unusually elegant for its type – though to me the elegance is more in the dry down when the mint fades a little. I got my bottle about three years ago and so I wonder if the current formulation is different? Personally I find Ninfeo Mio too sharp (at least on me) and Mediterenee too sour. Philosykos EDT, with its luscious sweet milkiness is so far the only fig to have won me over. Austenfan: I have so many scents in this category that I don’t feel the need to try this one. My favourite of the Allegorias is still Pamplelune, which ironically I don’t own a bottle of. I also really like Herba Fresca and Anisia Bella and rather enjoyed Lys Soleia when I tried it. Cornelia Blimber: I wonder why Thierry Wasser created this AA after Guerlain Homme (I have a tester and like it). Victoria: But do try it, Maja! Maybe, it will work better on you and the green notes won’t turn aggressive and raspy. Victoria: It’s true, with perfume one can never guess how something will work for another person. Enjoy it, Jane! I bet that it smells wonderful on you. And of course, it’s always good to hear a different opinion.